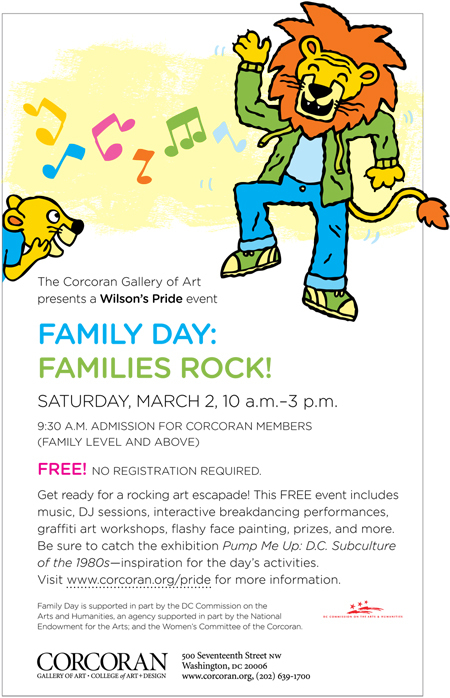 Family Day: Families Rock! is almost here and we need your help to make it a success! Please consider lending a hand during this exciting event on March 2nd filled with performances, music, art workshops, face painting, and much more. We have morning (9:30am-12:30pm), afternoon (12:30-3:30pm), and all day volunteer shifts (9:30am-3:30pm). Breakfast and lunch (and face painting) are included! If interested, please contact Jocelyn Kho with your shift preference as well as if you prefer to be in an art workshop.